Study, or not to study. That is the question. I’ve often wondered what it truly takes to be able to call oneself an instructional designer or an e-learning specialist. I suppose there could be lots of criteria for it. Some people have been traditional teachers, and from there moved into technology positions, bringing their wealth of information to the IT world. Some have gone to school to specifically become instructional designers, learning everything there is to know about how to present information and assess what students know. Some are IT people who fell into the field by working for a company or department that was in charge of learning and development at a corporation. Whatever the case is, there are plenty of ways that e-learning specialists have come to where they are. The question is…do I consider myself an e-learning specialist? I’d like to think so. My first IT job was actually that of being the customer service manager of a new e-learning dot-com during the dot-com boom of the late nineties. I was the second employee the owners had hired, and like all small companies getting off the ground, employees often had to wear multiple hats, not just do the job for which they were hired. While I did do the customer service work, I also ended up learning how to be the content manager for the LMS system that we used, and eventually, after the company grew, I was promoted out of customer service (that part was actually outsourced) to be the senior (okay, only) content project manager of the company. It was a long while ago, and very stressful and busy, but the nostalgic part of me remembers them as heady days. 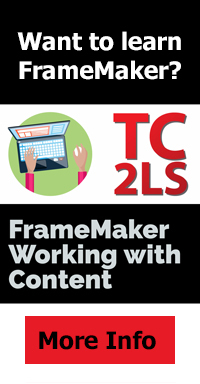 I learned the basics of how LMS and CMS systems worked, and I could see how content and assessments were created and rewritten so that the assessments would evoke learners to answer correctly. Heaven knows how many assessments I had to put into the system from third-party content writers. But that’s how I got my start, and I loved being in that company and that business. The business was sold to a bigger company that said it was a merger, but it really was a takeover, and eventually everyone–even the owners–were pushed out. It was a disappointment, because I thought we really had something good going, and I really wanted to stay and continue the work I was doing. Flash forward to several years later, after some stay-at-home years with my little son, my first full-time job was with a philanthropy that was automating the grant application system they had from applicants sending in faxes to answering questions and uploading documents online. While it wasn’t an e-learning job exactly, it was explained to me in my training that instructional design methods were being used to ensure that questions were asked in a way that would be clearly understood by the applicants, and would also elicit the kinds of responses the philanthropy needed to make a decision as to who would earn grants and who wouldn’t. I spent my days doing a lot of technical editing and applying those instructional design techniques, which seemed to come very naturally to me (I was even told that I picked up the concepts more quickly than many had), and again, I enjoyed what I did. Shortly after that position came to an end due to layoffs, I found myself looking for some sort of unemployment training. I figured out, somehow, that the technical editing and instructional design skills I had were referred to as “technical communications”, and so I looked for programs that might help me get a leg up on learning more, so that perhaps I could find another job. Well, I did, and I started with a graduate certificate in technical communications essentials, and since I liked it so much, I transferred all my credits into the Master’s program, which I am in the middle of finishing up right now. This is my last semester, and I’m taking two classes and a capstone seminar, and as of May, I will have my Masters of Science in Professional and Technical Communications. During all this studying, I’ve been doing a lot of focusing on e-learning and m-learning, and in the past year, really starting to concentrate more on this with the advent of the iPad (and getting my iPad, and seeing its potential in education!). There was only one class offered that had anything to do with instructional web design, and I took that course during my certifcate courses…but that was it. Almost every course since, I’ve tried to bring in some sort of element that had to do with e-learning or mobile technology whenever possible. I’m continuing to do that now, even, in my last semester. I’ve even made a greater effort to get involved in the e-learning and m-learning community in the last few weeks, and have made huge leaps and bounds during these weeks meeting new people in the field or share the same interest in education and technology especially through Twitter. In fact, if you are reading this now, you are most likely one of those people. HI!!! Glad you are here. Oh, and one more thing…I think I’ve had a special understanding of instructional design that’s not the norm (I don’t know that it’s unique, as I’ve met a few others who are in a similar situation), which is that I have a special needs child, and with him, I’ve had to learn even more about how people learn and how people acquire knowledge. In the process, I’ve learned how to think outside the box to enable effective learning. Technology is part of it, and it could play an even bigger part, but there has been some creative thinking in the process as well. So…does this experience make me an e-learning specialist? I’m not sure. Part of my problem is that because I haven’t stayed in one industry for years or have a PhD in some scientific field to make me an SME, and that I’ve trained myself to have as broad a technical communications foundation as possible (to enhance my chances of finding employment) despite my special interest in e-learning, I’m not thought as one, I don’t think. Oh, and the fact that I haven’t used a specific up-to-date LMS or LMS building system, or have used e-learning software like Captivate, Lectora or Articulate (although I’ve been told that I would probably pick it up very, very quickly) in a long time, I’m ineligible to speak as an e-learning specialist. So, what DOES it take to be an e-learning specialist? So, what do I do next? Do I just do my best to wiggle my way into some position somewhere, and hope that there is a manager out there that understands that I’m experienced and yet a newbie at the same time? Or, like I said, do I further my education? It’s a tough decision. For now, part of the issue is money. Education isn’t cheap. Sure, I could look up some YouTube or software manufacturer videos to learn these software programs…and in time, that may be the solution or part of the solution…but will it be enough? One of the big questions and hot topics in e-learning and especially with the advent of m-learning is the DIY Education. Anya Kamenetz has written two books on the subject, namely, “DIY U” and “The Edupunks’ Guide to a DIY Credential“, and she mostly talks about the idea of people creating their own education in a cost effective way, whereby a learner can learn through, for example, TED videos and online person-to-person learning instead of just through the conventional means (even a conventional course that’s done online), and that the mentality of what education is has to change. She says that as student debts are rising, and not everyone can afford a conventional education, there is lots of good information available through the Internet that can allow a person to learn what’s needed to effectively participate in a particular field or the workforce at large. Brilliant stuff. Someone she writes about who is a mover and a shaker in education and technology, and someone who actually works at my undergrad school (wish he was there when I was there! ), is Jim Groom. Jim is the one who is credited for creating the term, “edupunk”, and has been a strong advocate of open source education and the use of technology in higher education. He came a decade after I graduated, and it looks like he’s made a big splash at my alma mater! Are these two individuals among those who are leading a bigger movement into something that should be, well, obvious, and one I should be taking advantage of? I’m not sure what path to take. I’ve thought of going for a PhD in Instructional Design and Technology, but between the time and money factors, but I don’t know that I’m up to it just now. Should I get another Master’s degree? Same issue as the PhD. I’ve also thought about perhaps going for another graduate certificate in Instructional Design and Technology. That might be a more viable option…but again, time and money are factors. Do I just take a few essential courses, just to get myself up-to-speed, or at least give me a little more credibility and knowledge? Perhaps…it wouldn’t take as much time and money as the other options. But in the end, will it give me the credibility I need to be considered an e-learning specialist? I don’t know. And therein lies the problem. So, I need to ask again…what constitutes an e-learning specialist? I would really like to know, because I feel this is my “calling”. Do I just do my own thing educationally going forward? Am I fine where I am with the education and experience I already have? Do I need to do more, and if so, what? I wish someone could give me some direction. This entry was posted in Uncategorized and tagged Anya Kamenetz, DIY education, e-learning, e-learning specialist, education, edupunk, higher ed, higher education, instructional design, instructional design and technology, Jim Groom, m-learning, open source education. Bookmark the permalink. 2 Responses to Study, or not to study. That is the question. There’s a lot to read here (I thought you said you don’t have the time to write? 😀 ), and I will probably have to get back to this and read more thoroughly, but there are some key points I already want to bring up. The problem with technical communication is that it’s an extremely fluid field. It is based on technology that is changing every month, if not every week. By the time you learn how to use one tool, it’s already obsolete, or a new version comes out. School is very expensive, and the old promise of “learn and you will get the appropriate job” does not seem to work here, because there is no appropriate job for a technical communicator: it is a big bag fully loaded with useful tools, yes, but no place to apply all of them as you are not exactly a specialist in one thing or another. It is up to you to create that niche. This is what I’m trying to do myself, personally, like you, in the field of education. Here is something encouraging I can tell you though: you, as a blogger and as an online persona, are powerful. Very powerful. The age where you had to “know your stuff” and have a PhD in a certain filed in order to publish a paper and have it printed in a scientific journal of sorts is over. It’s behind us. Yes, it is true that you still need to learn and know what you’re talking about, but knowledge is everywhere, available for free. And I’m not talking about Wikipedia here and Google search… did you now that MIT, for example, offers free courses online, and charge you for the tests? Did you know that most of the material you learn in a course, any course, is available in studies and books published online, for free? you don’t even need to be a member of a library. I just conducted my own research on information architecture and tagging based on no less than five such studies; I can basically write a research paper now, have it published, and even quoted in other prominent places. We live in a world where social media can tackle whole governments. Anyone has a chance to publish and write ideas, not just the few with influence, education and money. This place, this blog, could be the most powerful and useful tool in your arsenal. It can become your job, your career and your business, or a part of it. Now I want to calm down a bit, take a step back… and welcome you to blogging. Real blogging. As I said, the tech comm world and higher education is in a very transitional time right now, and now society has to figure out what counts as experience and education, especially with the incredible availability of e-learning courses on the Internet now. I do hope that I can take advantage of some of those MIT classes if I can find something that fits my needs. But in the meantime, non-traditional learning is not always recognized as readily as traditional learning (even if it’s online, like what you and I have been doing), so I think I need to stick with what works for now, and then later on, I could try to do something else. If there was a way I could create my own PhD, set up my own curriculum for it, and do it online, etc. I would do it in a heartbeat, but that doesn’t exist as far as I know. For now, I have to figure out what’s going to help me get break back into the field that I like the most, or at least into some tech comm field that I like. I’m not happy taking jobs because I can do them. I want to do a job that I can do, but that I enjoy and do well in, both personally and financially. Is that too much to ask? So far, it is. Part of what I’m dealing with it that after almost 2 1/2 years of working on a Master’s degree, while I’m so much farther in my knowledge foundation that I was before I started the degree, it seems that I need more of… something… to provide me with the specialization skills needed to be in the field I want. In so many ways, I think I have the basics, and if I may say so, the raw talent to be able to make it, but that doesn’t translate on paper. So, I have to figure out what that next move is, and if any e-learning mentors could show me some possible directions or give me advice, I’d love to have it.